The purpose of this study is to strengthen our vessels and increase the capacity of light that we can draw from the Light of Rabbi Shimon that is revealed on Lag B’Omer or any other day. 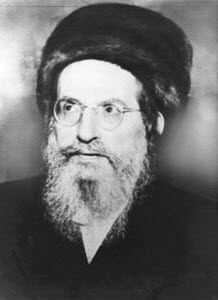 Lag B’Omer is the Hillulah (death anniversary) of Rabbi Shimon bar Yochai. It is called with that name because it is the 33 day of the counting of the Omer. It is at the level of Hod of Hod. It is very significant because it is the perfect level to form a great vessel for the Light. Before he left the world, Rabbi Shimon revealed great secrets to the seven students that left after the study of the Idra Rabba. This study is called the Holy Idra Zuta. In it only Rabbi Shimon speaks and the rest are listening. On his last day in this world he was allowed to revealed secrets about the first phases of creation that was never revealed before. Having a good Kosher meal in the honor of Rabbi Shimon is good but it must include a Zohar study. The Zohar tells us that those who eat without revealing spiritual light are like idol worshipers, who make sacrfices to other gods. Lag B’Omer is the best day to connect to the Zohar because with it we can have a common ‘language’ and connection with Rabbi Shimon. Read, listen, and study the Idra Zuta. Visit the other links on the page to make higher spiritual connection to the light of Rabbi Shimon and the wisdom of the Zohar. You can make personal prayers with an open book of the Zohar (or on the screen at UnityZohar.com) and ask for the support of Rabbi Shimon to elevate your prayers.